Fun it may be to always discuss those new advanced hybrids, but they tend to come at a price. 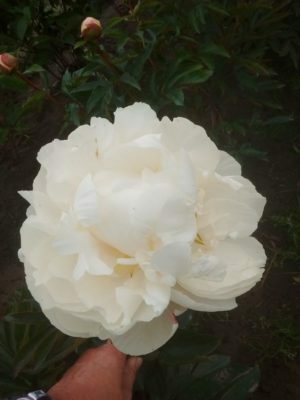 Just look at this price comparison list that can be found on Adriana Feng’s very interesting website Southern Peonies. New or rare, they come priced in between 75 US$ (Lemon Chiffon, Juliska) and up to 400 US$ (Kayleigh Ann, Pastelorama) for a single 3-5 eyed division. As peonies are experiencing a rising popularity, many of those even tend to sell out very fast (i.e. in their first days on offer), thus they are probably not even overpriced. 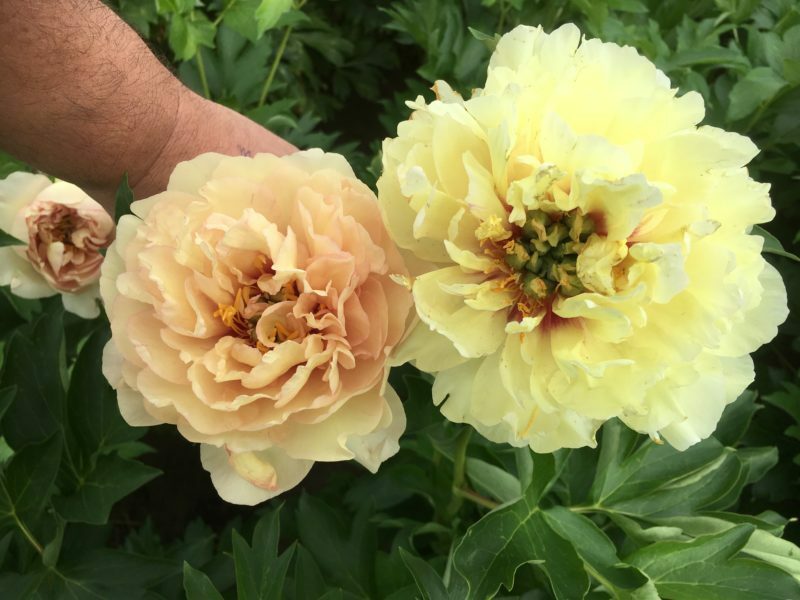 Now you may wonder “Do I really have to spend such an amount of money for some peonies?” and of course you don’t, there are hundreds, probably even thousands, of varieties that come within a more feasible price range. 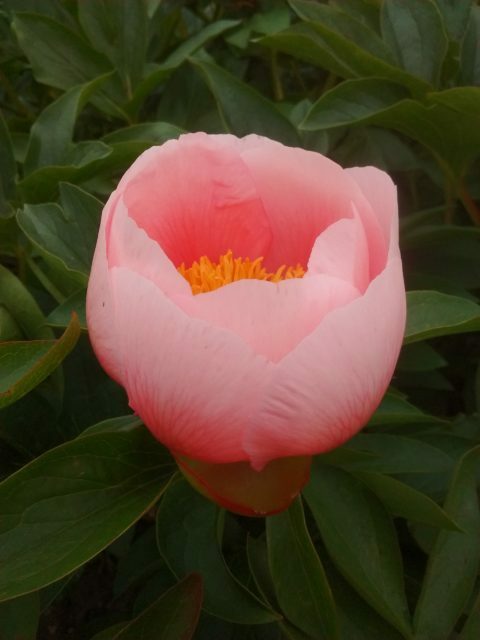 Just visit one of the specialised peony nurseries that have their catalog online and you’ll see plenty of affordable options as well. Then further down the price range you come across those dirt-cheap ones, those that will only set you back a few dollars (or euros, or pounds, or whatever). Usually they’re always the same few varieties and you can buy them practically everywhere, any garden center will have these available and some department stores will also have them available. Are they any good? 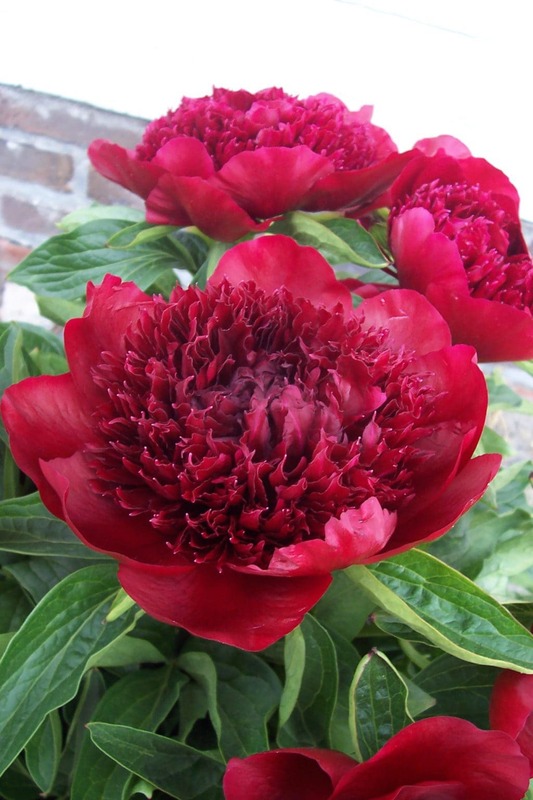 Could you buy some, give them to your mother and be sure that in a few years time she will still be glad for that gift of peonies? Now I’ve grown peonies for several years and I started out with some of the cheaper ones as well, thus I do have some experience growing these. Surely, you will need a healthy and large enough root division. 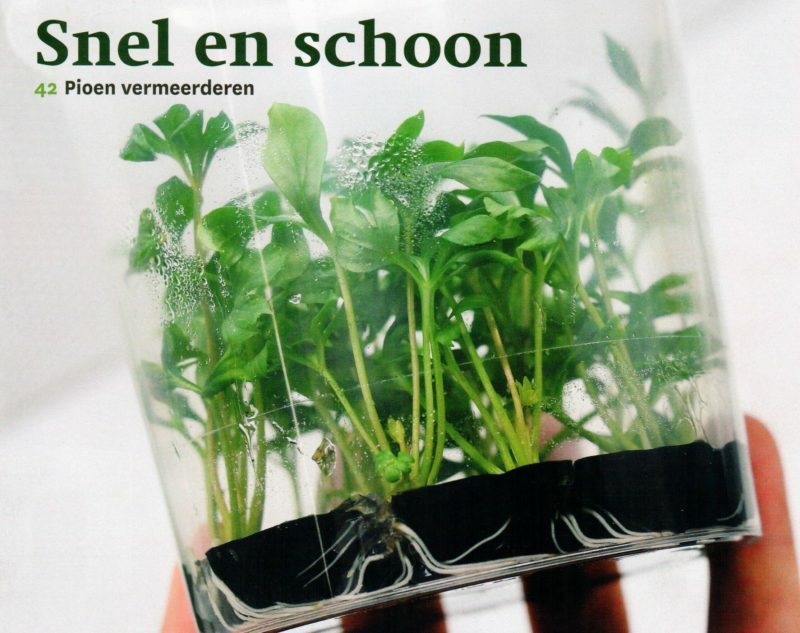 Those sold in small 4 inch (10 cm) diameter pots are sure to be a disappointment, no matter what variety you buy. Dried out or partly rotted divisions are obviously no better. 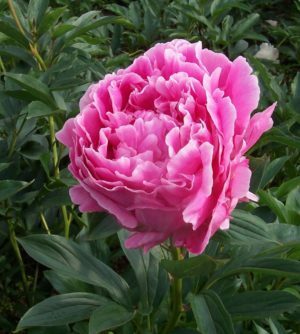 If possible then it’s best to buy them from a specialized peony nursery, most of those also offer some of these very regular ones, they may be somewhat less cheap, but even for the cheapest varieties there is always a quality difference and it is still best to buy good quality (and they will offer true-to-name, not unimportant as well). Now, the source where you buy them notwithstanding, these are some of the very cheapest varieties on offer. A ‘red’ lactiflora cultivar. Very floriferous with sturdy stems, a very fast increaser and reliable. The flowers however are small and the ‘red’ is only a purplish red which most people will not find very attractive. An old bomb double pink. Very large flowers. But the stems are not sturdy enough and you can bet that after some rain or wind, you’ll find your flowers down on the ground. A double white. Reports differ, but here it is a weak performer with few stems and small flowers. Double pale pink. 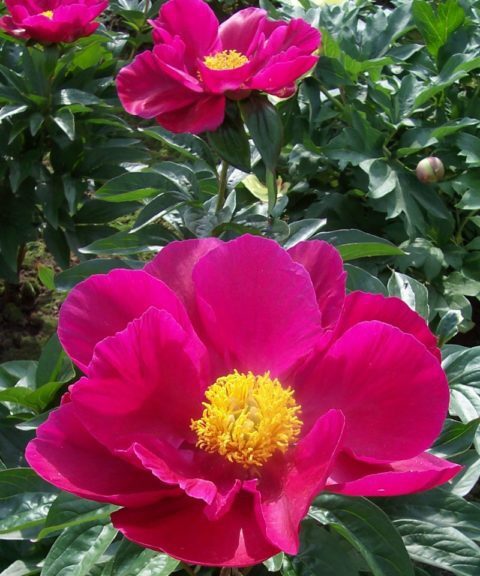 Very reliable, very floriferous, beautiful large flowers. The most widely available variety. But give it some rain or wind and these will also bend to the ground. 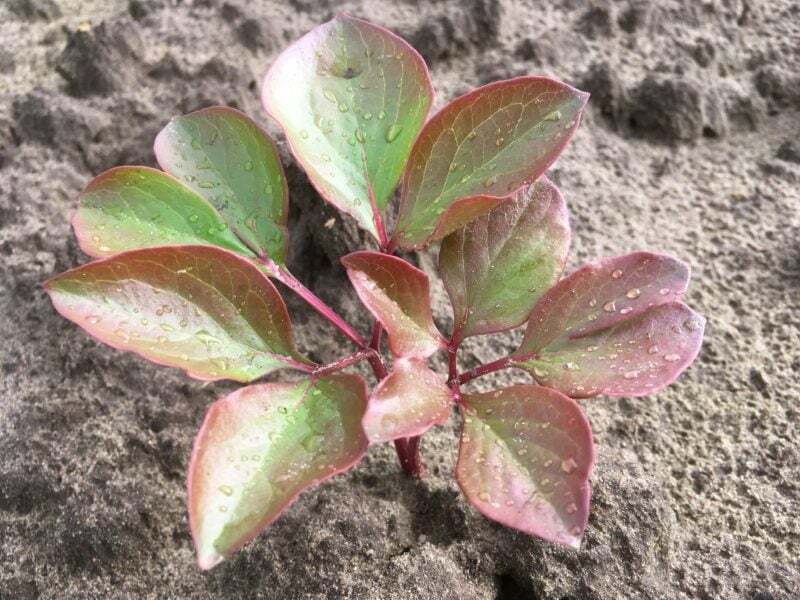 The double red, pink and white officinalis. Early, but very weak stems and the flowers lose their petals quickly. A double pink with large flowers. 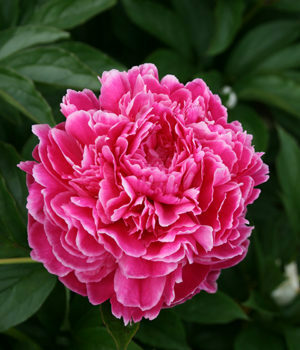 Very healthy, floriferous and reliable, this one stands up to bad weather thanks to its sturdy stems. 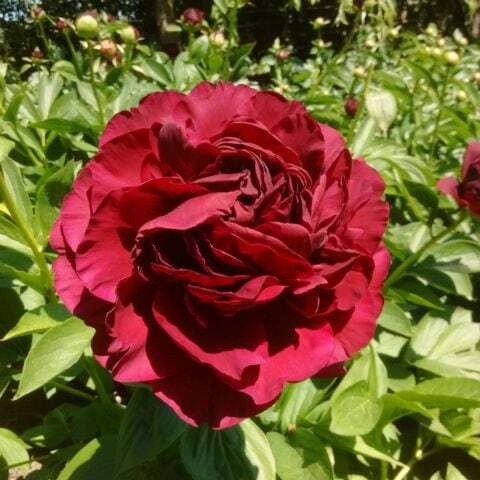 A true dark red and far better than the Officinalis cultivars mentioned before. This one has far larger flowers and sturdier stems. A double pale pink that fades into a pure white. Large flowers aplenty on very sturdy stems. 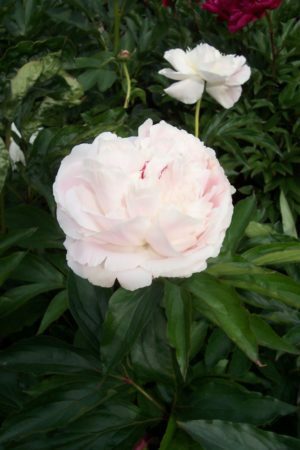 Also a double pale pink that fades into a pure white. It’s better than Shirley Temple, with even larger flowers and somewhat taller. Those four can be bought with confidence if you’d ask me for some of the cheapest and most foolproof recommendations. khurtekant 1 year, 2 months ago.